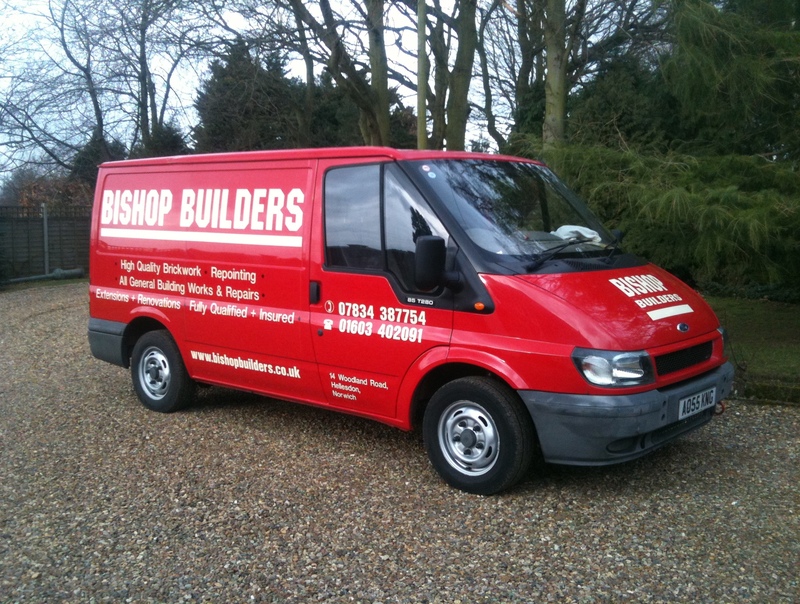 Sam Bishop set up Bishop Builders in January 2012 as an already established tradesman. He had previously worked for RG Carters Ltd for 8 years, during which time he served a full 3 year apprenticeship. In the last 3 years he has gained a solid reputation for offering a professional service based on high standards and with emphasis on good customer communications, quality work and a courteous manner. This is backed up by the majority of work being gained by customer recommendations. Bishop Builders are fully insured and all electrical & plumbing work is carried out by qualified and certified tradesmen. Does your chimney need repairing? Does your house need re-pointing? Or would you like a quote for an extension, new internal layout, or maybe a new kitchen or bathroom? If so, give us a call to see if we can help you. We have established a local reputation for a reliable service and high quality workmanship in everything we do. We have the skills and equipment to cover most jobs and would be pleased to discuss your requirements.